Guys, the Big Bash League for the Women had already started and we have seen the craze among the cricket fans and it's lovers. The 4 matches are already played which are amazing matches and we hope that his match will also be breathtaking like previous ones. 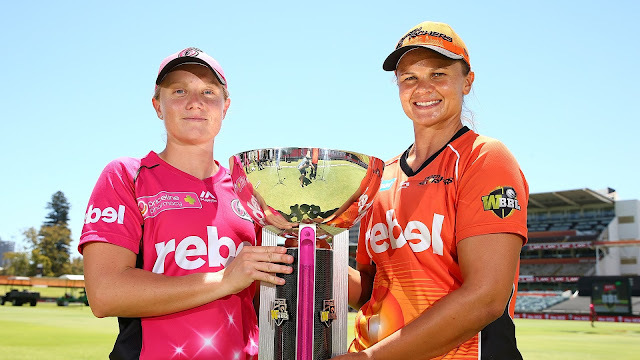 The match between Sydney Sixers Women and Perth Scorchers (Women) will be played on 7th of December. The match will be played on the North Sydney Oval, Sydney which is a home ground for Sydney Sixers so they can have the advantage which they can use for the match. We all know that the Sydney Sixers is the current champion of the league. We know that you are eager to see the predict the result of the match. So, for you, we are here providing you the stuff related to the prediction of this match. You can see the detailed information from here. Sydney Sixers team is headed by Ellyse Perry and the other players in the team are Lauren Cheatle, Lauren Smith, Stella Campbell. Perth Scorchers is Meg Lanning (c) is a very experienced player of her team. The team also consist of Lauren Ebsary, Heather Graham, Taneale Peschel. Earlier matches between the Perth Scorchers and the Sydney Sixers are one-sided as we can see that there are total 7 matches played earlier between these two teams and out of which the Sydney Sixers had successfully won the 4 matches. This doesn't make the Perth Scorchers a weak team because they also won the 3 matches and the one match they loss is also with the very less difference.